meet. — red table meat co.
Mike Phillips has been working on forming Red Table Meat Co. for perhaps his whole life. Growing up in a small, rural farming community, he worked for farmers, went to school with farmers, heck, he dated the Clay County Pork Queen! He saw their struggles and their tireless work. That powerful sense of community never left him. 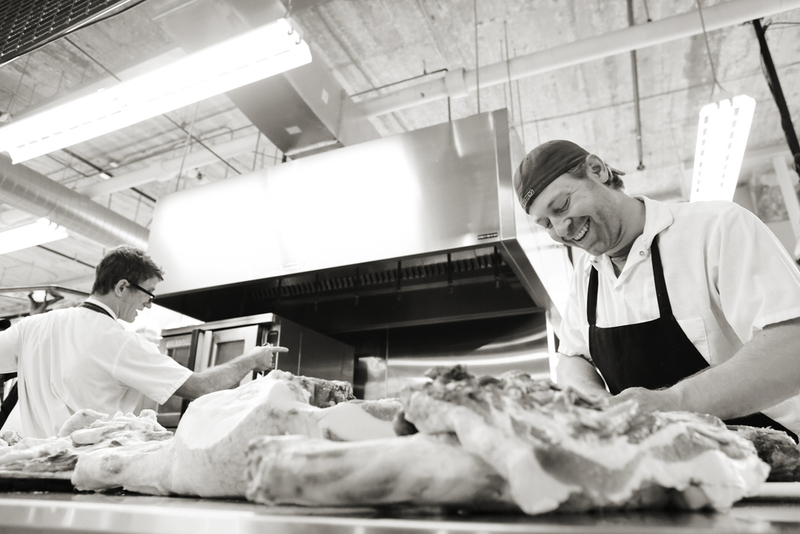 And now, Red Table Meat Co. couples those values with well-made, thoughtfully crafted products. Red Table Meat Co. works with Littlefoot Farm in Afton, MN, and Pork and Plants in Altura, MN. We also source pork from Heritage Farms and Berkwood Farms in Iowa. Explore our facility with this virtual tour. We're part of the FOOD BUILDING newsletter.